Skunk Fusion is a two part cover scent that is placed down wind of the hunter. Meaning no skunk scent is put onto the boots, clothing or anywhere else that’ll follow you outside of the stand. 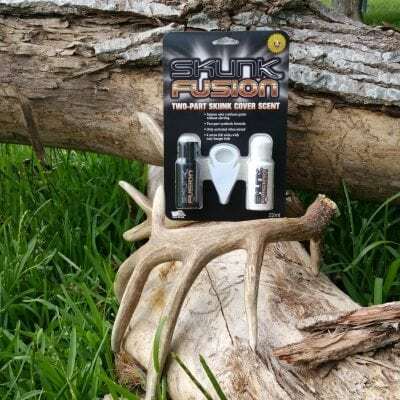 Skunk Fusion is a tried and true product to bring game within range allowing you the best shot possible. Visit our website, for more information on the best cover scent for your next big hunt.